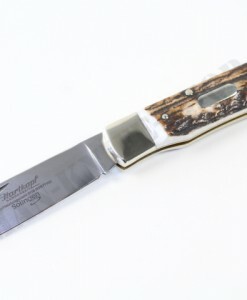 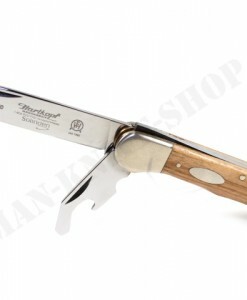 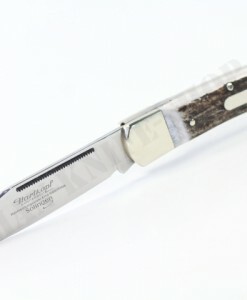 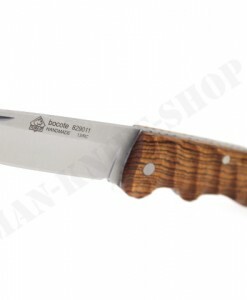 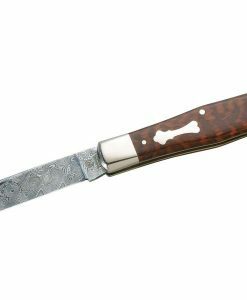 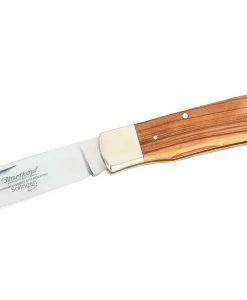 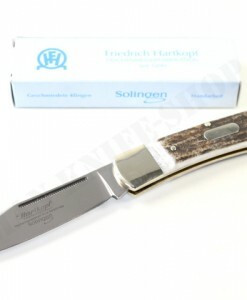 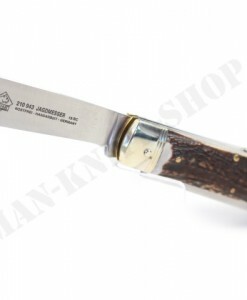 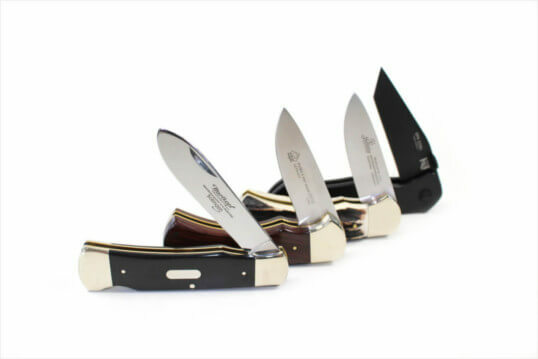 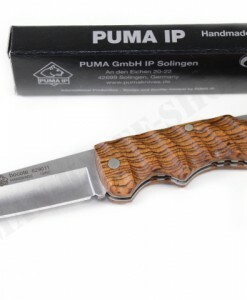 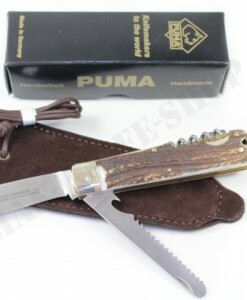 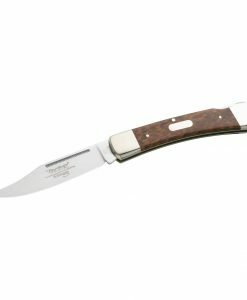 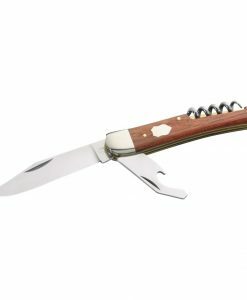 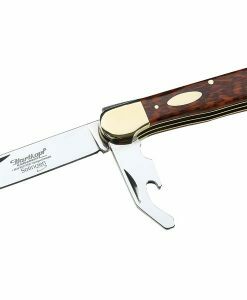 Small and elegant, this Hartkopf pocket knife features a stainless steel 1.4034 blade. 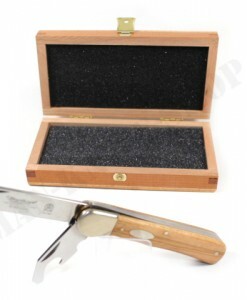 The booklet features a harmonious combination of brass plates, ebony bowls and nickel silver cheeks. 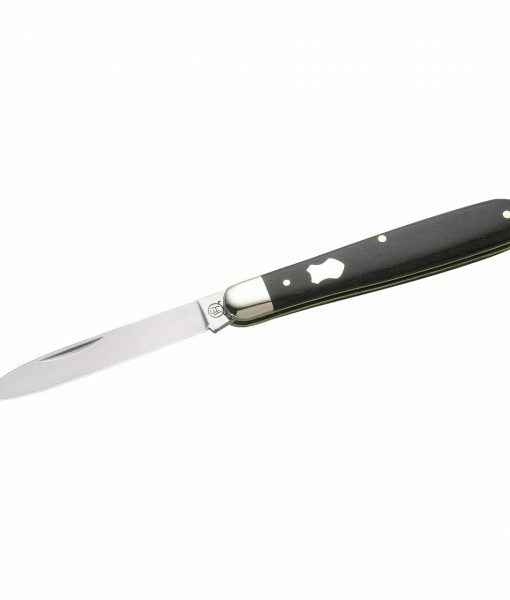 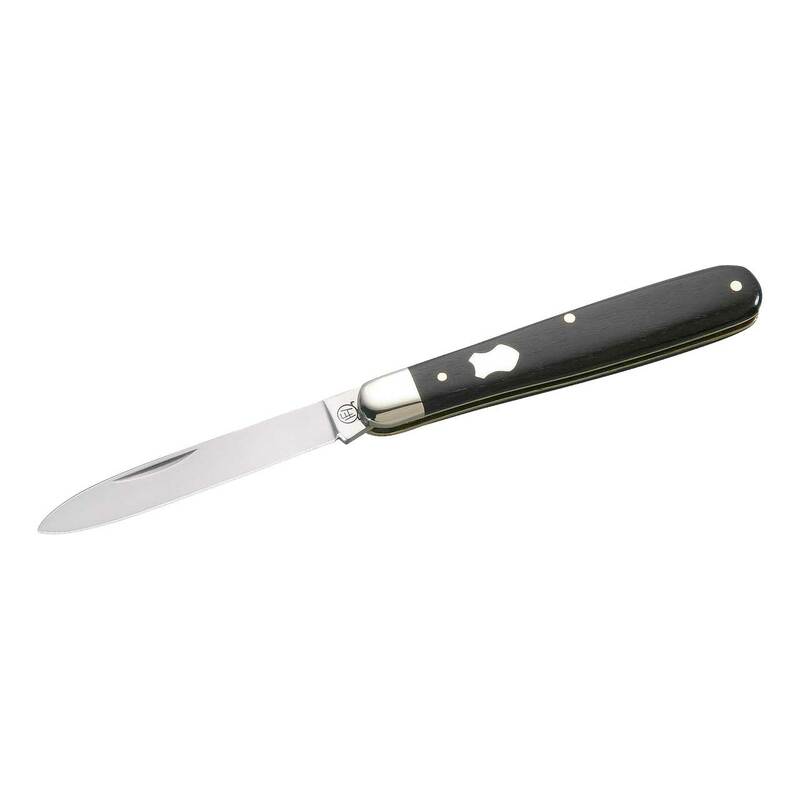 A buried in the ebony engraving plate adds to the knife in a stylish way. 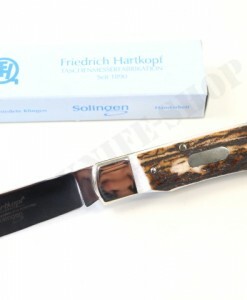 Made in Solingen!